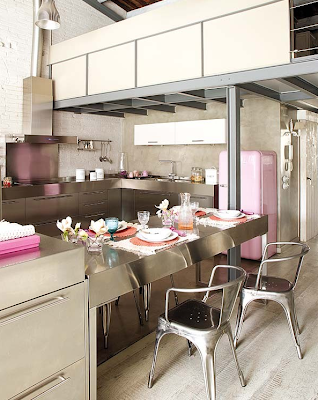 This apartment just outside of Barcelona was featured on the blog Freshome yesterday. The unique combinations of vintage accessories in a modern setting paired with hues of grey, taupe, fuchsia & light pink truly set this space apart. The whole apartment has a warm industrial feel. 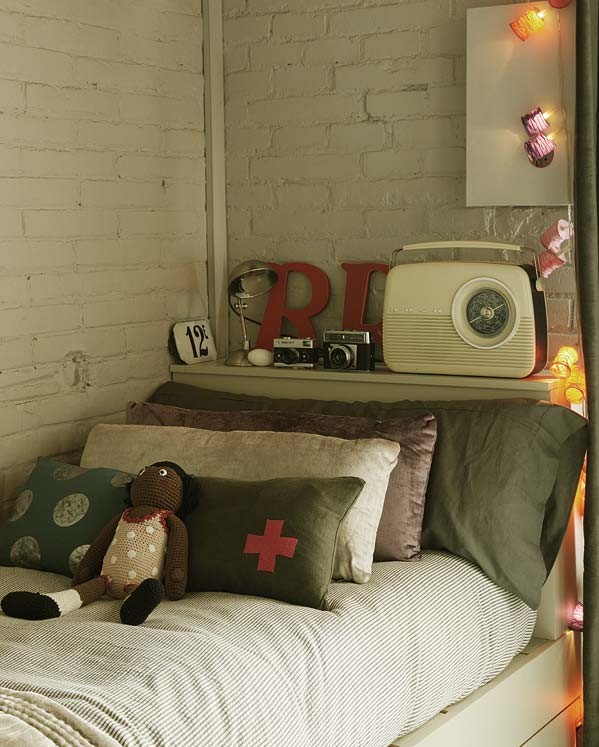 The daughter's room looks like it could come straight out of an Anthropologie catalog. The boy's room is simple, industrial and more muted. I also had to show you the kitchen. How stunning are those floors? And that pink fridge? Not entirely practical as it looks a little small but very fun.